“Where is Mama?” screams Ahmed’s 10-year-old daughter in a WeChat message he can hardly bear to replay. Like many traders in Pakistan’s northernmost region of Gilgit-Baltistan, Ahmed fell in love with a Chinese woman on a work trip across the border. And like dozens of others, he has now been forcibly separated from the woman he married – and the child they had together – for months.Last week lawmakers in Gilgit-Baltistan demanded that authorities in China’s Xinjiang province immediately release from detention at least 50 Chinese women married to Pakistani men, some of whom have been held for a year on vague charges of extremism. After 70 years of extreme chauvinism, we are finally into the doctrine of realism which focuses on the peaceful coexistence with the neighbouring countries. 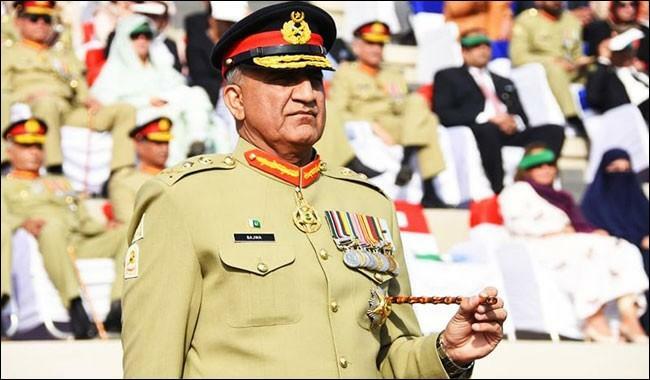 The Bajwa Doctrine, initiated by the rationalistic and logical Gen Qamar Bajwa and his equally able team of the top military command, is all about realising the changes taking place around the country and reshaping policies according to the needs of the modern times. India and China have become entangled in a constitutional crisis in the Maldives, with both countries brandishing their navies while attempting to come to a diplomatic solution. The crisis began on Feb. 1 when the Maldives Supreme Court ordered the release of all political prisoners, citing violations of due process in their trials. The released prisoners included multiple members of the opposition Maldivian Democratic Party (MDP), and the order also covered former president Mohamad Nasheed, who was sentenced to 13 years in prison in 2015 but is now living in exile in London. In response to this ruling, President Abdulla Yameen declared a state of emergency, arresting members of the Supreme Court, dispatching police to keep order, and suspending parts of the constitution. However, the Maldives government has stated it does not intend to extent the state of emergency past March 22. The Maldives are scheduled to hold presidential elections this summer. BEIJING - China has named its former strategic missile force chief as defence minister, completing a shake-up of its top military brass that began in October last year. General Wei Fenghe’s appointment on Monday (March 19) underscored the firm grip that President Xi Jinping now has over the People’s Liberation Army (PLA), said analysts. Gen Wei, 63, was the first officer to be promoted to full general when Mr Xi took office in 2012 and also the youngest to hold the rank at the time. A career artillery officer, he rose through the ranks of the Second Artillery Force, which oversees China’s land-based nuclear arsenal, and became its commander in 2012. That year, Gen Wei was among the first in the PLA’s senior leadership to both pledge allegiance to Mr Xi and actively execute his military reform agenda, which included a sweeping reorganisation of the PLA and its command structure. Thinking of robotic systems coupled with artificial intelligence (AI) and robotics as an existential threat to humanity as (for example) Elon Musk, Stephen Hawking and other scientists have done recently is at best premature, and at worst that thought process threatens to cede U.S. military advantage to hostile and aggressive state competitors. Of course, objections by scientists to the militarization of technological advances of all types has a rich—if somewhat misguided—history. But as military professionals, it is incumbent to discount breathless reports of our imminent extinction at the claws of our silicon superiors and understand the concrete reality of robotic systems and AI on the battlefield to solve specific military problems. Monday marks 15 years since President George W. Bush announced the start of the Iraq war, followed by a ‘decapitation’ air strike on Baghdad meant to target Saddam Hussein. 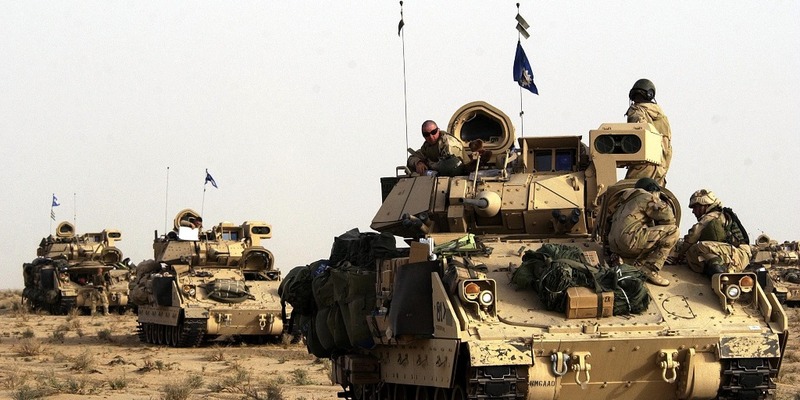 After a 48-hour deadline for Saddam to leave Iraq expired, ground troops from the U.S., UK, Australia and Poland invaded Iraq from Kuwait, launching a war that lasted from 2003 to 2011. The Cipher Brief asked its experts in the intelligence, diplomatic and military to assess the war’s impact. Their conversations are adapted for print below. In 1994, an aspiring Turkish politician named Recep Tayyip Erdogan leveraged his fame as a player for Istanbul's Kasimpasa Soccer Club into a successful run for mayor of Istanbul as a candidate of the Islamist Welfare Party. His initial success proved short-lived. In 1998, he was dismissed from his position as mayor, banned from further political office and imprisoned for four months for having recited a poem, during a speech, that promoted an Islamic point of view of the role of government. How Will America Respond To Cold War II? In the past month, we’ve learned from special counsel Robert Mueller that 13 Russian officials and three Kremlin-linked agencies were involved in 2016 election trolling and hacking to a sufficient degree to indict them; that the Kremlin was almost certainly behind the assassination attempt on a former double agent living in Britain; and that Russian cyberwar agencies penetrated vital U.S. electrical and other infrastructure systems, and could have shut them down. That latest finding, reported last week by the FBI and the Department of Homeland Security, was sufficiently alarming that even the White House bleated a mild protest, for the very first time. And the Trump administration joined Britain and other allies in condemning the attempted hit job. Though Russian President Vladimir Putin is assured an election win on March 18, his fourth term will usher in a period of deep challenges for Russia and his continued rule. Putin's pledge to maintain stability is facing economic and demographic shifts that will ripple throughout society and test compliance with Putin's government. Thinking of the longer term, the Kremlin is considering a spate of reforms and has allowed political discourse to return to Russia, though each maneuver is not without its risks. Putin, his cultlike government and the Russian people are starting to consider what life in Russia will look like after he leaves the political stage. Hamas, the anti-Israel Palestinian faction that rules the Gaza known for its terrorist attacks on Israel—is on the ropes. Although the violent back-and-forth with Israel goes on, Hamas spends much of its energy trying to undermine its Palestinian rivals rather than fighting Israel with all its might. Israeli pressure, international isolation and Hamas’s own failings all make the group’s fate unclear. However, this seeming policy success poses a dilemma for Israel. Although Hamas is Israel’s enemy and would happily see the Jewish state destroyed, its continued control of Gaza (for now) is a necessary evil for Israel given the paucity of alternatives. NUCLEAR WEAPONS’ NEW PURPOSE: DETERRING CYBER ATTACKS? Last month, the Trump administration officially unveiled the results of a year-long review of the United States’ nuclear posture and its strategic vision for how to incorporate nuclear capabilities into an overarching security strategy. In the official White House press release announcing the publication of the 2018 Nuclear Posture Review (NPR), President Trump states that this strategy “enhances deterrence of strategic attacks against our Nation, and our allies and partners, that may not come in the form of nuclear weapons.” The NPR makes clear that the American nuclear arsenal serves a deterrent purpose not only against nuclear threats, but also against “non-nuclear aggression,” including cyber threats. It also emphasizes that the United States’ non-nuclear forces, though an important component of its overall deterrent strategy, “do not provide comparable deterrence effects—as is reflected by past, periodic, and catastrophic failures of conventional deterrence to prevent Great Power war before the advent of nuclear deterrence.” Thus, it seems that while the Trump administration’s nuclear strategy considers non-nuclear actions as legitimate causes for retaliation, it sees a nuclear response as the most effective threat against those actions. Vladimir Putin, Russia’s longest-serving ruler since Joseph Stalin, surprised no one with his landslide re-election on Sunday. While his victory, in which he claimed 73.9 percent of the vote according to state-run exit polls, was a foregone conclusion, the Kremlin was reportedly anxious about turnout, and conducted an elaborate, well-financed get-out-the-vote campaign. For an authoritarian regime in which election results and turnout are pre-ordained, such concerns may seem odd. But even in Russia’s “managed democracy,” appearances still matter, and the Kremlin needed to present believably high levels of support to ensure Putin’s mandate. Shortly after polling centers closed on Sunday night, Putin appeared to be on target to achieve the desired 65 percent turnout. But even more important for Putin is that this election marked the culmination of his nearly two-decades-long project to control information in Russia and manipulate Russian society. Now, Putin has proven beyond any doubt that the Russia he has built is his and his alone. Today's infographic focuses on a key part of the turnaround in the U.S. energy sector that often gets overshadowed by Big Oil players like ExxonMobil or Royal Dutch Shell. It covers the role of "Craft Oil" in the industry, an umbrella that includes many small, independent, and focused companies across America that produce oil and gas on a domestic basis. To pedestrians passing outside the Maltings shopping center in Salisbury, England, on the afternoon of March 4, the pair slumped on a bench appeared to be another tragic case of opioid overdose. The younger woman was unconscious, having lost control of her bodily functions, and was propped against the older man, himself twitching and mumbling in an incoherent manner. But as police arrived at the scene and identified the victims, it soon became clear that this was not an accidental narcotics overdose. Cryptocurrencies have been the subject of recent attacks by official sector representatives, and the G20 finance ministers will consider regulatory proposals at their next meeting in Buenos Aires. This column argues that while cryptocurrencies present certain risks, they also represent an important innovation that promises to enhance choice and efficiency in monetary transactions. A proportionate, risk-based regulatory approach is required to accommodate differential attitudes and experiences and to avoid stifling innovation and competition. This implies having an open debate before sweeping regulatory action. Cryptocurrencies, today’s privately issued monies or quasi-monies, are threatened with a regulatory clampdown. Many central banks and regulators are calling for their comprehensive regulation, and an announcement is expected at the forthcoming G20 meetings in Argentina. Most economists now echo this sentiment (James 2018, Turner 2018, Danielsson 2018) following earlier, more sympathetic voices (Fernandez-Villaverde 2017). Lawmakers pressed President Donald Trump’s pick to lead the National Security Agency over the government’s failure to deter Russian cyber aggression Thursday at the same time the Treasury Department imposed the broadest sanctions to date against Russian government hackers. The timing underscored two points made frequently by government cyber officials and by their critics outside government. 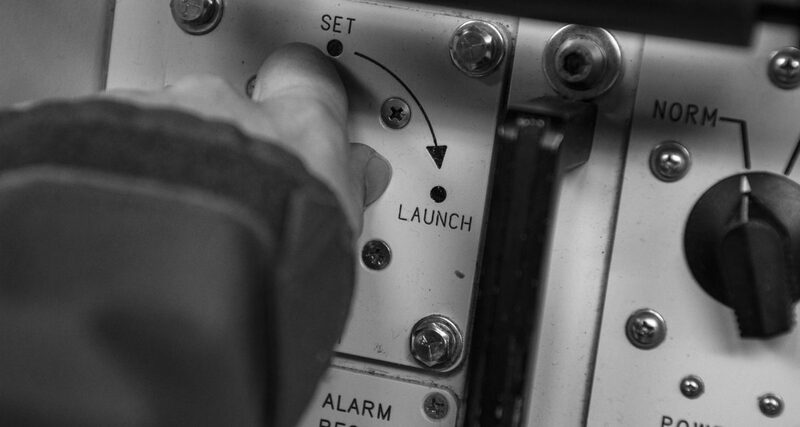 First, the best response to a cyber strike often isn’t a cyber counterstrike. Second, those non-cyber responses, though they keep piling up, still aren’t doing the trick. Thursday’s sanctions target five Russian entities, including intelligence services and social troll creator, the Internet Research Agency, as well as 19 individuals, many of whom were previously indicted by Special Counsel Robert Mueller. The U.S. military is looking to enlist game theory and artificial intelligence to fight tomorrow’s unconventional warfare tactics. From eastern Europe to southern Iraq, the U.S. military faces a difficult problem: Adversaries pretending to be something they’re not — think Russia’s “little green men” in Ukraine. But a new program from the Defense Advanced Research Projects Agency seeks to apply artificial intelligence to detect and understand how adversaries are using sneaky tactics to create chaos, undermine governments, spread foreign influence and sow discord. I contemplate the future of work on a daily basis in both my professional and personal life. As a father of four children from four to 14 years old, and as a citizen of the world, I care about our future. As CEO of freelancing website Upwork, I am witnessing firsthand not only the immense changes within our industry, but also the speed at which they are occurring. At the World Economic Forum, where I co-chair the Council on the Future of Work, Gender and Education, we have heated discussions on the future impact of artificial intelligence on work and our responsibilities to help manage the change. We see that as the workforce evolves, we must finally break free from the industrial-era habits of the past to ensure a more productive and equitable future. 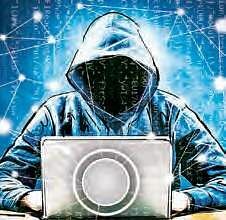 HYDERABAD:A malware infected computer of ISRO exposed India’s premier space research agency to hackers, claimed Indian and French security researchers on Sunday. The researchers also claimed that hackers could have taken control of ISRO’s command rocket launches using the vulnerability. Express has not been able to independently verify this claim.The trojan malware, known as XtremeRAT, was detected in ISRO servers in December 2017 and was reported to the agency by an Indian researcher. ISRO reportedly responded and resolved the issue only after French researcher Robert Baptiste reached out to the agency on Twitter. “ISRO in their conversation with me informed that that investigated and found a UTM login port that was not mapped internally to any systems.They claimed to have disabled that port for now,” said Baptiste quoting ISRO’s communication with him that Express has seen. Soldiers training at Fort Sill, Okla., last month. 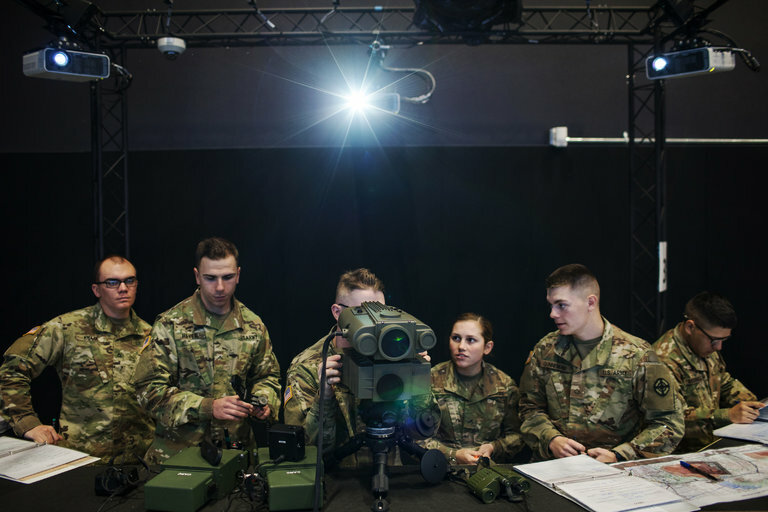 The Army’s planned Futures Command will consult directly with troops there about how to update artillery pieces to improve speed and range.CreditTamir Kalifa for The New York Times. The platoon of Army Special Operations soldiers was on a routine night patrol in eastern Afghanistan when one of them suddenly opened fire on what looked to the others to be a bush. The bush, it turned out, had been obscuring a militant fighter. He was detectable only to the one platoon member wearing prototype night vision goggles that could detect heat signatures — a happenstance that Army officials say probably saved many lives. Does Success Come Mostly from Talent, Hard Work—or Luck?